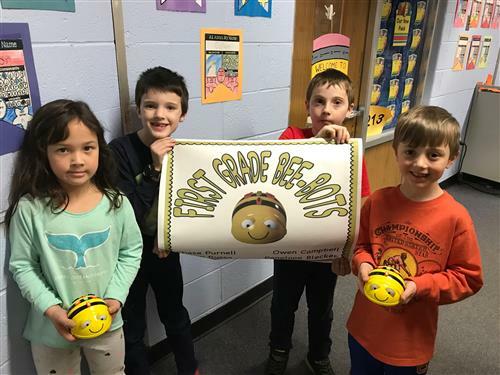 Wildwood Elementary first graders have been having a lot of fun with our new Bee-Bots. Bee-Bots are small programmable floor robots that resemble bumblebees. The children are using Bee-Bots to learn basic coding and to apply it to all areas of the curriculum. Instead of drill and practice on a computer, the children are practicing math facts while simultaneously programming their Bee-Bot to travel to the correct answer. Coding promotes teamwork, communication, creativity, and exploration.